The story of The Snowflake Man is inspired by Wilson "Snowflake" Bentley, the self-educated farmer and scientist who attracted world attention when he became the first person to photograph a single snow crystal. 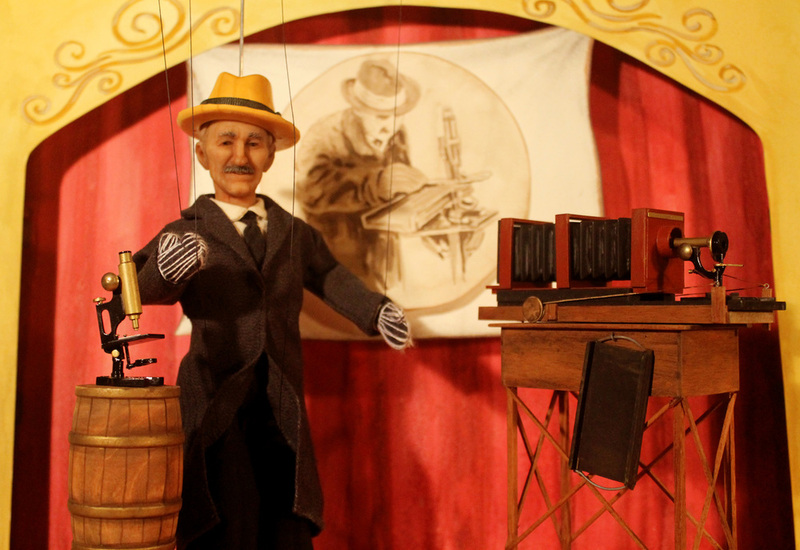 The Snowflake Man swings audiences into the historic 1920s through creative storytelling, intricately designed Czech-style marionettes, and a striking pop-up book of water color scenery. This UNIMA-USA award winning show combines art, science, and a little known piece of American history to magical effect! The Snowflake Man was awarded a 2011 UNIMA Citation of Excellence – the highest honor in puppetry. This award is shared with Director Jason Thibodeaux and Vermont Watercolor artist Bruce Lee. The show is sponsored in part by a Creation Grant from the Vermont Arts Council and the National Endowment for the Arts. What people are saying about "The Snowflake Man"